Units of Study for Teaching Writing is organized around Units of Study. Each Unit of Study lays out four to six weeks of instruction. 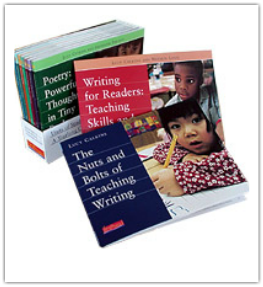 Together the units provide the teaching points, minilessons, strategies, and tools needed to jump in and teach writing to students. Presented sequentially, these units help you teach narrative and expository writing with increasing sophistication.